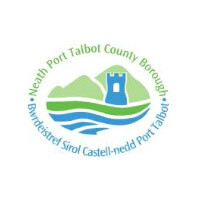 A former secondary and further education business and economics teacher, Stephanie was employed within Neath Port Talbot County Borough Council Education Directorate for 11 years diversifying from her teaching career. During this time she managed the EOTAS (Education other than at school) service. The role involved managing a team of teachers, youth workers, teaching assistants and Learning Support Assistants to deliver education packages to young people who were unable to attend mainstream school. 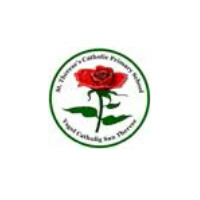 This role equipped her with a vast amount of experience, knowledge and expertise in working with a range of professionals to provide a quality, nurturing education to a diverse and often complex range of the authority’s pupil population. Hence the birth of Bespoke Education Service Team Ltd (B.E.S.T) 11th April 2016. 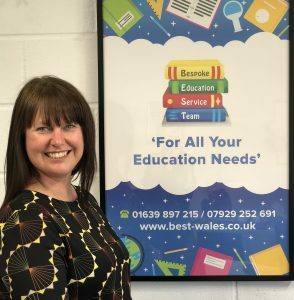 Over the past 30 years, Charmaine has diversified into a wide range of roles within the education sector and has taught from nursery through to adult literacy. 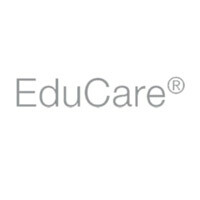 She has gained extensive valuable experience in the discipline of Special Educational Needs and is a qualified Dyslexia Assessor who is passionate about improving pupil’s language skills. Charmaine was responsible for the implementation of Language Workshops at a local comprehensive. Evidence based results proved that this initiative raised the level of achievement for the pupil’s who had received the intervention. Following completion of an engineering degree, David worked in industry for 3 years before deciding that he wanted to become a teacher. He completed a teaching qualification specialising in Science and Maths and spent some time teaching in Inner London. David has worked extensively in the prison education system and a local adolescent secure unit where he has taught a broader range of subjects. This has led to extensive experience of working with children who have social, emotional and behavioural difficulties, including young people on the autistic spectrum. 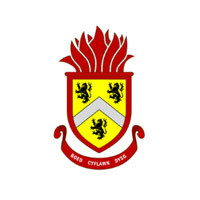 Prior to recent early retirement, Derek was Assistant Head teacher at a local comprehensive for 17 years during which time he continued to teach. In addition to this Derek was the Designated Senior Officer for Child Protection and Wellbeing. Over the period of 34 years, Derek has taught a wide range of subjects and his empathetic, understanding nature has gained him popularity with staff, pupils and other professionals. Hannah qualified as a History teacher in 2009. Following a few years of teaching History in two comprehensive schools, and teaching in a Primary school for a few terms, Hannah was approached by EOTAS to work as a teacher of pupils who were unable to attend school due to severe anxiety issues. The job led to Hannah teaching a far broader range of subjects up to GCSE level. Hannah’s calm, kind and understanding nature with pupils enables her to form a relaxed teacher – pupil relationship with young and often anxious teenagers. She is able to help them achieve the best results that they are capable of, and when necessary, also provides them with the support and confidence that they might need to be able to return to school. 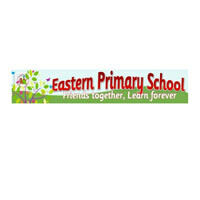 Judith completed initial teacher training in 1990 and subsequently commenced working in the primary education sector. Following this, Judith became a Home Education teacher; this led to her teaching a diverse range of subjects to a wide range of pupils with varying needs and abilities. 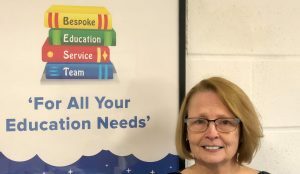 Judith’s calm approach and extensive knowledge of the curriculum has resulted in excellent grades for many pupils over her 26 years of teaching. 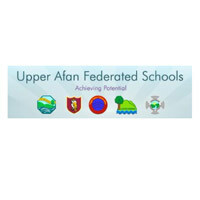 Lyn was a Primary School teacher for over 30 years, working with Early Years and every year group through to Year 6. 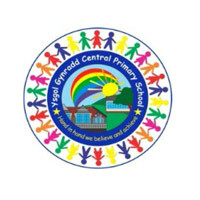 She has taught in Multi-Cultural London, Swansea and Neath Port Talbot Schools and has an extensive amount of experience working with children who have behavioral, emotional and social difficulties. Lyn is a calm, caring, firm but understanding person, who is able to plan and differentiate appropriately to a child’s needs. Sarah returned to education as a mature student and completed a degree in information systems, followed by a PGCE specialising in maths and numeracy. Since qualifying, she has taught pupils of varying abilities from age 5 to 16 within schools and the home. Passionate about improving pupil’s numeracy/maths skills, to support them in regaining and building confidence and self-belief in the subject, Sarah always ensures that she is well informed and up to date with any changes within Maths specifications. She is a genuine, caring, understanding and honest teacher who strives to build a good rapport with pupils which subsequently leads to getting the best out of them. For the past 30 years, Clive has taught chemistry up to A level. In addition to this he has taught the individual sciences at BTec and GCSE level. 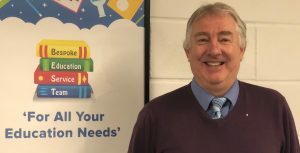 As Head of Year at a local secondary school for the past 20 years, Clive is known to be a good communicator when dealing with pupils with a wide range of differing abilities. 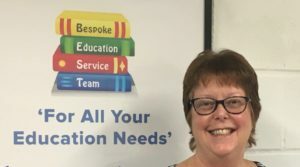 As a specialist teacher of children with additional learning needs for the past 35 years, Anne brings a wealth of knowledge and experience to the team. 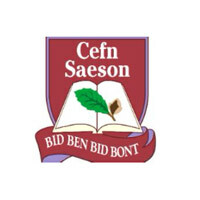 She has spent the past 9 years working for a Local Authority Home Education Service teaching pupils who have been unable to attend school in addition to supporting pupils to integrate into a new education establishment.